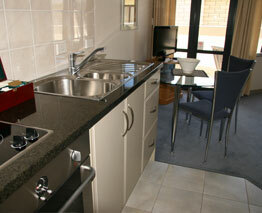 Studio Apartments at The Anchorage, offer ideal compact accommodation close to Pilot Bay, Mount Maunganui. Each of our Mount Maunganui Studio Apartments boasts an open-plan bedroom, dining / lounge area – perfect for couples seeking a romantic Mount Maunganui getaway. Providing secure, apartment-style Mount Maunganui accommodation and comprehensive amenities is our specialty at The Anchorage. We offer a beautiful swimming pool complex, gym, sauna and spa facilities for your enjoyment. 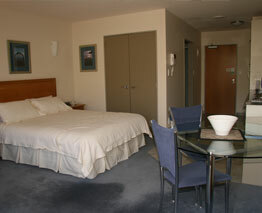 Studio Apartments are available on the ground level and on the pool level. Select your preferred level below and book online now!